Throughout the last couple of days, I’ve seen at least three lines of crab pots set between Alki and Lincoln Park. 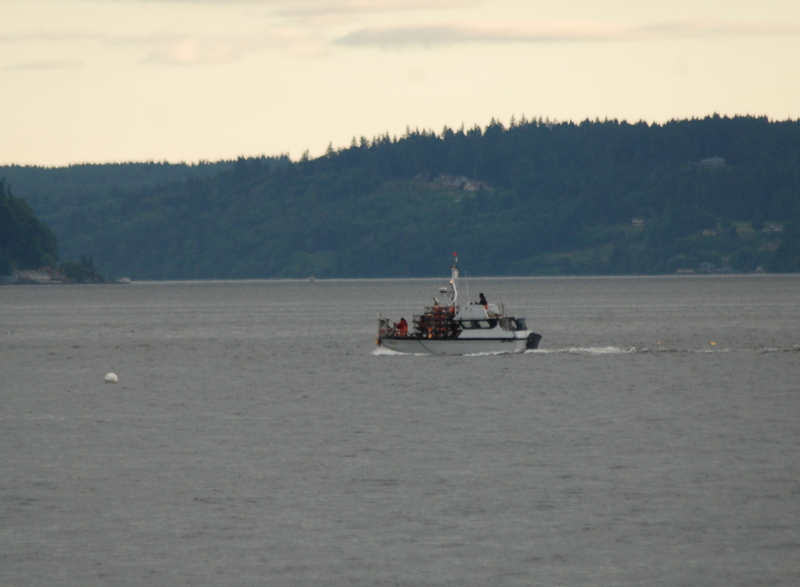 This area of Puget Sound is only available for Indian crab harvesting. 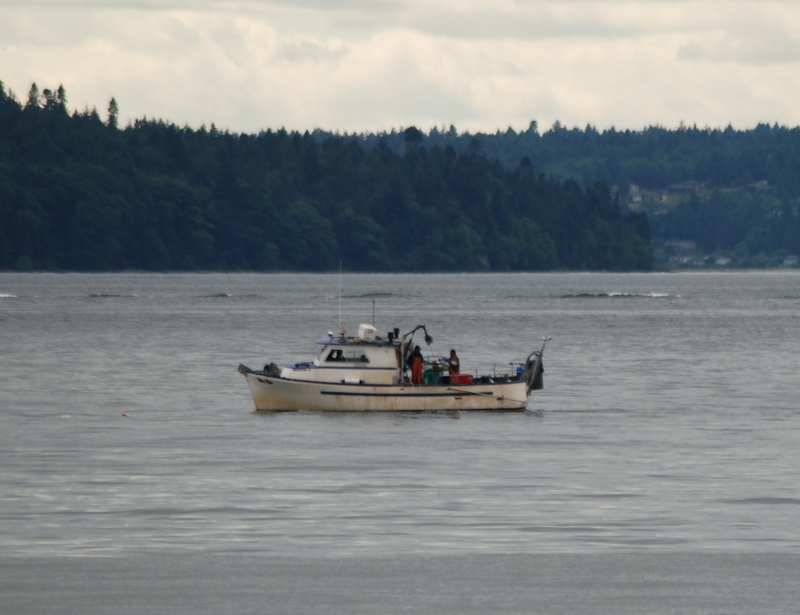 Other commercial licenses are restricted to other areas of Puget Sound. They appear to be tending the pots twice a day and releasing quite a few Sunflower Stars caught in their pots. Sho’ am hope’n dey don’t empty all da honey holes of cwabbys befo us boys get a go at it on July 1st!